The cost of the mission is approximately US$800 million  not including the Atlas V launch vehicle, which is about US$183.5 million. It is the third planetary science mission selected in the New Frontiers program, after Juno and New Horizons . The principal investigator is Dante Lauretta from the University of Arizona. Juno is a NASA space probe orbiting the planet Jupiter. It was built by Lockheed Martin and is operated by NASA's Jet Propulsion Laboratory. The spacecraft was launched from Cape Canaveral Air Force Station on August 5, 2011 (UTC), as part of the New Frontiers program, and entered a polar orbit of Jupiter on July 5, 2016, to begin a scientific investigation of the planet. After completing its mission, Juno will be intentionally deorbited into Jupiter's atmosphere. A time capsule is a historic cache of goods or information, usually intended as a method of communication with future people and to help future archaeologists, anthropologists, or historians. Time capsules are sometimes created and buried during celebrations such as a world's fair, a cornerstone laying for a building, or at other events. Rehearsals will be performed before the sampling event, during which the solar arrays will be raised into a Y-shaped configuration to minimize the chance of dust accumulation during contact and provide more ground clearance in case the spacecraft tips over (up to 45°) during contact. The descent will be very slow to minimize thruster firings prior to contact in order to reduce the likelihood of asteroid surface contamination by unreacted hydrazine propellant. Contact with the surface of Bennu will be detected using accelerometers, and the impact force will be dissipated by a spring in the TAGSAM arm. The OSIRIS-REx Laser Altimeter (OLA) is a scanning and LIDAR instrument that will provide high resolution topographical information throughout the mission. The information received by OLA creates global topographic maps of Bennu, local maps of candidate sample sites, ranging in support of other instruments, and support navigation and gravity analyses. The OSIRIS-REx Visible and IR Spectrometer (OVIRS) is a spectrometer, which measures light to provide mineral and organic spectral maps and local spectral information of candidate sample sites. It also provides full-disc asteroid spectral data, global spectral maps (20 m resolution), and spectra of the sample site (blue to near-infrared, 400–4,300 nm, with a spectral resolution of 7.5–22 nm). These data will be used in concert with OTES spectra to guide sample-site selection. These spectral ranges and resolving powers are sufficient to provide surface maps of mineralogical and molecular components including carbonates, silicates, sulfates, oxides, adsorbed water and a wide range of organic compounds. It provides at least two spectral samples per resolution element taking full advantage of the spectral resolution. The Regolith X-ray Imaging Spectrometer (REXIS) will provide an X-ray spectroscopy map of Bennu to constrain the element abundances. It complements core OSIRIS-REx mission science. REXIS is a collaborative development by four groups within Massachusetts Institute of Technology (MIT) and Harvard University, with the potential to involve more than 100 students throughout the process. REXIS is based on flight heritage hardware, thereby minimizing elements of technical risk, schedule risk, and cost risk. The sample-return system, called Touch-And-Go Sample Acquisition Mechanism (TAGSAM), consists of a sampler head with an articulated 3.35-meter (11 ft) arm. An on-board nitrogen source will support up to three separate sampling attempts for a minimum total amount of 60 grams (2.1 oz) of sample. The surface contact pads will also collect fine-grained material. Hayabusa2 is an asteroid sample-return mission operated by the Japanese space agency, JAXA. It follows on from Hayabusa mission which returned asteroid samples in 2010. Hayabusa2 was launched on 3 December 2014 and rendezvoused with near-Earth asteroid 162173 Ryugu on 27 June 2018. It is in the process of surveying the asteroid for a year and a half, departing in December 2019, and returning to Earth in December 2020. Michael Julian Drake, Regent’s Professor, was the Director of the University of Arizona’s Lunar and Planetary Laboratory and Head of the Department of Planetary Sciences. He was the principal investigator of the Origins Spectral Interpretation Resource Identification Security Regolith Explorer (OSIRIS-REx) mission of NASA’s New Frontiers Program. The OSIRIS-REx mission, launched on September 8, 2016 and scheduled to arrive at Asteroid Bennu in December 2018, is the most ambitious University of Arizona planetary science project to date and will retrieve a sample of the asteroid and return it to Earth. He also made significant contributions to the study of HED meteorites and studied the origin of water in terrestrial planets. The Planetary Missions Program Office is a division of NASA headquartered at the Marshall Space Flight Center, formed by the agency's Science Mission Directorate (SMD). Succeeding the Discovery and New Frontiers Program Office, it was established in 2014 to manage the Discovery and New Frontiers programs of low and medium-cost missions by third-party institutions, and the Solar System Exploration program of NASA-led missions that focus on prioritized planetary science objectives. The Discovery and New Frontiers programs were established in 1992 and 2001 respectively, and have launched fourteen primary missions together, along with two missions launched under the administration of the Planetary Missions Program Office. The Solar System Exploration Program was established alongside the office, with three missions planned for launch under the new program. 1 2 3 4 Brown, Dwayne C. (25 May 2011). "NASA To Launch New Science Mission To Asteroid In 2016". NASA. Retrieved 18 September 2016. 1 2 3 4 5 6 7 8 9 10 11 12 13 "OSIRIS-REx: Asteroid Sample Return Mission" (PDF) (Press Kit). NASA. August 2016. Retrieved 18 September 2016. 1 2 3 Graham, William (8 September 2016). "Atlas V begins OSIRIS-REx's round trip to the asteroid Bennu". NASA Spaceflight. Retrieved 18 September 2016. 1 2 3 Ray, Justin (9 September 2016). "OSIRIS-REx probe launched to asteroid in compelling search for the origins of life". Astronomy Now. Retrieved 18 September 2016. ↑ "NASA'S OSIRIS-REx Spacecraft Arrives at Asteroid Bennu". NASA. 3 December 2018. Retrieved 6 December 2018. Brown, Dwayne; Neal-Jones, Nancy (31 March 2015). "RELEASE 15-056 - NASA's OSIRIS-REx Mission Passes Critical Milestone". NASA . Retrieved 4 April 2015. Chang, Kenneth (5 September 2016). "NASA Aims at an Asteroid Holding Clues to the Solar System's Roots". The New York Times . Retrieved 6 September 2016. Corum, Jonathan (8 September 2016). "NASA Launches the Osiris-Rex Spacecraft to Asteroid Bennu". The New York Times . Retrieved 9 September 2016. Chang, Kenneth (8 September 2016). "The Osiris-Rex Spacecraft Begins Chasing an Asteroid". The New York Times . Retrieved 9 September 2016. ↑ "Canadian Space Milestones". www.asc-csa.gc.ca. 2007-12-04. Retrieved 2018-12-19. ↑ "About OSIRIS-REx". www.asc-csa.gc.ca. 2018-08-06. Retrieved 2018-12-19. 1 2 Chang, Kenneth (December 3, 2018). "NASA's Osiris-Rex Arrives at Asteroid Bennu After a Two-Year Journey". The New York Times . Retrieved December 3, 2018. 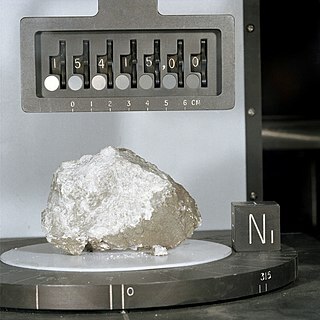 ↑ "NASA Aims to Grab Asteroid Dust in 2020". Science Magazine. 26 May 2011. Archived from the original on 29 May 2011. Retrieved 26 May 2011. ↑ Buck, Joshua; Diller, George (5 August 2013). "NASA Selects Launch Services Contract for OSIRIS-REx Mission". NASA . Retrieved 8 September 2013. 1 2 3 4 Kramer, Herbert J. "OSIRIS-REx". Earth Observation Portal Directory. Retrieved 20 April 2015. 1 2 Hille, Karl (9 January 2018). "NASA Selects Participating Scientists for Mission to Asteroid Bennu". NASA. Retrieved 2 February 2018. ↑ Graham, William (8 September 2016). "Atlas V begins OSIRIS-REx's round trip to the asteroid Bennu". NASASpaceFlight.com . 1 2 Wall, Mike. "'Exactly Perfect'! NASA Hails Asteroid Sample-Return Mission's Launch". Space.com. Retrieved 10 September 2016. ↑ "OSIRIS-REx Mission & Trajectory Design". Spaceflight101.com. Sep 2016. 1 2 3 Neal-Jones, Nancy (17 January 2017). "Successful Deep Space Maneuver for NASA's OSIRIS-REx Spacecraft". NASA. Retrieved 7 March 2017. 1 2 Clark, Stephen (1 February 2017). "NASA's OSIRIS-REx probe moonlights as asteroid sleuth". Spaceflight Now. Retrieved 9 March 2017. ↑ "OSIRIS-REx Asteroid Search Tests Instruments". NASA . Retrieved 2018-12-20. ↑ Morton, Erin; Neal-Jones, Nancy (9 February 2017). "NASA's OSIRIS-REx Begins Earth-Trojan Asteroid Search". NASA. Retrieved 9 March 2017. ↑ "NASA's OSIRIS-REx Takes Closer Image of Jupiter". NASA. 15 February 2017. Retrieved 9 March 2017. ↑ Morten, Eric (31 December 2018). "NASA's OSIRIS-REx Spacecraft Enters Close Orbit Around Bennu, Breaking Record". NASA . Retrieved 1 January 2019. ↑ NASA’s OSIRIS-REx Spacecraft Enters Close Orbit Around Bennu, Breaking Record. Lonnie Shekhtman, OSIRIS-Rex Mission home page. 31 December 2018. ↑ [https://www.asteroidmission.org/asteroid-operations/#detailedsurveybaseballdiamond Orbital B Phase. Osiris-Rex. Accessed on 22 March 2018. ↑ Lauretta, Dante (2014-02-05). "How Do We know When We Have Collected a Sample of Bennu?". Dslauretta.com. Retrieved 23 August 2016. ↑ "Sample Return Capsule". Spaceflight101.com. Retrieved 25 October 2017. 1 2 Davis, Jason (5 July 2018). "What's the benefit of sample return?". The Planetary Society. Retrieved 2 September 2018. ↑ "OSIRIS-REx Project". JAXA/Astromaterial Science Research Group. Retrieved 2 September 2018. ↑ "OSIRIS-REx". NASA/Astromaterials Research & Exploration Science Directorate. Retrieved 2 September 2018. 1 2 Wolchover, Natalie (27 May 2011). "NASAcronyms: How OSIRIS-REx Got Its Name". LiveScience. Retrieved 12 May 2015. ↑ Moskowitz, Clara (27 May 2011). "Why NASA Chose Potentially Threatening Asteroid for New Mission". Space.com. Retrieved 14 May 2017. ↑ Müller, T. G.; O'Rourke, L.; Barucci, A. M.; Pál, A.; Kiss, C.; Zeidler, P.; Altieri, B.; González-García, B. M.; Küppers, M. (December 2012). "Physical properties of OSIRIS-REx target asteroid (101955) 1999 RQ36. Derived from Herschel, VLT/ VISIR, and Spitzer observations". Astronomy & Astrophysics. 548. A36. arXiv: 1210.5370 . Bibcode:2012A&A...548A..36M. doi:10.1051/0004-6361/201220066. ↑ "Earth Impact Risk Summary for 101955 Bennu". Near Earth Object Program. NASA's JPL. 5 August 2010. Retrieved 29 April 2013. ↑ "OSIRIS-REx - The Mission". Asteroidmission.org. ↑ Lauretta, Dante (16 December 2014). "Integration of the OSIRIS-REx Main Propellant Tank". Dslauretta.com. Retrieved 20 April 2015. 1 2 3 4 5 6 7 "Instruments: Science Payload". University of Arizona. Retrieved 18 September 2016. ↑ Lauretta, Dante (11 January 2014). "OCAMS – The Eyes of OSIRIS-REx". Dslauretta.com. Retrieved 10 September 2016. ↑ "OLA, Canada's Contribution to OSIRIS-REx". Canadian Space Agency. 4 March 2013. Retrieved 15 October 2014. ↑ Simon-Miller, A. A.; Reuter, D. C. (2013). OSIRIS-REx OVIRS: A Scalable Visible to Near-IR Spectrometer for Planetary Study (PDF). 44th Lunar and Planetary Science Conference. 18–22 March 2013. The Woodlands, Texas. Bibcode:2013LPI....44.1100S. ↑ Lauretta, Dante (27 November 2013). "How To Get To Bennu and Back". Dslauretta.com. Retrieved 10 September 2016. ↑ Elifritz, T. L. (2012). OSIRIS-REx II to Mars - Mars Sample Return from Phobos and Deimos (PDF). Concepts and Approaches for Mars Exploration. 12–14 June 2012. Houston, Texas. Bibcode:2012LPICo1679.4017E. ↑ Templeton, Graham (31 May 2016). "OSIRIS-REx is about to go collect (and return) samples from an asteroid". ExtremeTech. Retrieved 24 November 2016. ↑ Dunn, Marcia (8 January 2019). "Asteroid-circling spacecraft grabs cool snapshot of home width2=200". AP News . Retrieved 8 January 2019. Wikimedia Commons has media related to OSIRIS-REx .